Looking for an innovative way to turn heads and corner your target market? YourWindow interactive windows transform a glass window, LCD or plasma screen into an irresistible, interactive touch screen experience. Operating 24/7, interactive windows displays captivating multimedia content that invites potential customers to take a closer look. Once you’ve grabbed their attention, you can sustain their interest with an interactive product catalogue or game, 360-degree view of the latest gadget, fun 3D animation, corporate advertisement and more. 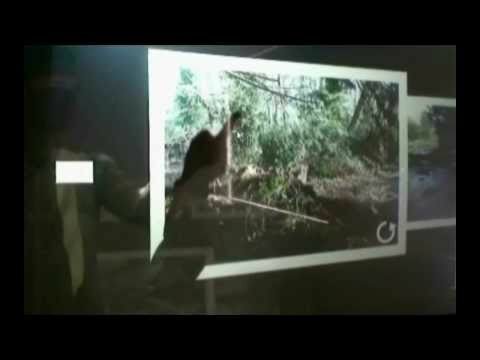 What can Interactive Window do for you? How do Interactive Windows work? YourWindow interactive windows are easy to install and simple to use. A transparent Touch Foil is mounted to the inside of your (shopfront) window with the interactive window display projected outside. With no “fixed” external components, you’ll enjoy peace-of-mind assurance that the installation is safely contained inside the premises. On the street, a responsive touch screen lets users command whatever information you’d like to dish up. Whether it’s a single image, or a complete 3D multimedia production, your brand, product or service information is on display 24/7. And if you’ve got an out-of-the-box marketing idea or solution, chances are we can accommodate that too. All this ‘visual’ products talk and we haven’t yet mentioned sound! That’s not to say we don’t have you covered. Mounted on the inside of a glass window, our crystal clear thru-glass speakers are externally audible to pedestrians and passing traffic. Good looking and producing optimum sound quality, our speakers are pleasing to both the eye and the ear. Check out our other YourFloor, YourWall and YourBar interactive technology. Provides an information-driven content system boasting interactive Touch Technology using the interactive Touch Foil. Uses custom Developed Software that can be tailored specifically to meet your multimedia advertising, marketing or general business needs.